This was a really promising start to what I hope will be an epic adventure. I’m definitely going to continue the series with book two because I just need to know what’s going to happen! This was a very interesting book with some cool concepts and an awful lot going on. The idea of the book definitely drew me in, but I feel that the book lost some of its momentum towards the end which knocked off a few stars for me. It’s an exciting adventure and a weird blend of fantasy and contemporary young adult – for the most part I really think it works, and I’m excited to continue the series because I have a feeling that things are going to improve as the ideas solidify a bit more. Fire and Sea, You Say? There are 5 worlds altogether, Fire, Water, Wind, Stone, and the True world. It’s possible for people to have ‘otherselves’ in these other worlds, but you might have none, you might have all five, or you might be the only one. Travel between the worlds is forbidden (but doable via special mirrors). Leah is the illegitimate daughter of one of the kings in the fire world. A woman who is effectively a master Caller (someone who has otherselves an access to them) is taking the daughters of the kings to teach them this art. Of course, she has malevolent intentions as ‘for the protection of the kingdom’ is most definitely not her motivation for doing so. Now, Leah’s half-sister (the legitimate daughter of the king) doesn’t get taken because the king is greedy and sends Leah under her sister’s name to take her place. But as it turns out Leah is a very gifted Caller and gets sucked in to a nefarious plot. Which actually annoyed me a bit, like, Leah honey, YOU’RE DOING THE WRONG THING. Use your silly little brain. Gah. Holly is a teenage girl living in the water world. She’s quite ordinary, studying at school and getting by. But thanks to the activities in the fire world she falls overboard a boat one day and is saved by a merman. Yup. This sends her life off in a spiral as she fights against the Fire people who constantly call her to look into a mirror. Why is she fighting this? Because once she looks into a mirror her otherself (Leah) can take over her body. It’s somewhat complicated and takes a while to set all this up but I did very much so enjoy the concept of the book and thought it had a pretty good storyline going for it. However. From what we know, the Water world is basically identical to our world. Yet every other world is fantastical and very different. I was a little disappointed with this because I would have thought that Water would be an underwater world or something really cool like that. It does make the story stick out a little from everything else that’s going on which was a little frustrating. On top of this, everyone is pretty clued up about things in Fire as to there being otherworlds (if you’re told, anyway) and we know that the True world knows about everything. So why is it that Water has absolutely no idea? Why go to so much effort to create four other magical worlds and then throw in our one? It seems strange to have this out of sync world in the mix and I think sticking to pure fantasy could have been a great benefit for this book. Perhaps it’s to toy with the idea that our world is not the only world. Either way for me this seemed . . . odd. I wasn’t the biggest fan of how this was split between the two stories. I felt like either of the narrators could have told the story or had their own entire story within one book. It felt a lot like two books accidentally bumped into each other, got their hair tangled together, and just went with it. Which is cool and not as painful as it sounds, but I didn’t quite work. It starts off really strong but I feel like everything gets bogged down with when to switch back and forth and we sort of forget why it’s so important. Also the coming together of the two worlds didn’t feel like as big of a thing as I’d hoped it would. It was sort of like, yeah, that happened. I think it would’ve been better to stick to Leah’s perspective and let her tell the whole story. And to add to that, I think it would’ve been really cool if the people from all the different worlds were educated about each other and weren’t so like, what’s a bowl? How do I turn on a tap? It should’ve gone one way or the other: either no-one has any idea about there being other worlds and it’s like OH JIMMINY CRICKET, LOOK THROUGH THIS MIRROR EUSTACE. Or like, ooomf, looks like Fire and Water are at odds again. I think the problems I had with this book was that it was too long, there were too many chefs and not enough cooks, and it felt a little like a jigsaw piece that didn’t fit but was smushed together anyway. So hi, I’m Kirstie and if you don’t know I love dragons. Okay? Okay. THERE WAS A DRAGON. Albeit not for very long. But there was a dragon and that made me happy. This fantasy element of bringing in a fire-breathing dragon of ROAR into the book made me very excited and I loved it. Every book should spontaneously throw a dragon in it – even if it’s like a toy, or a dream. Dragons make everything all right. That being said, I think it would have been amazing to see even more of the dragon wreaking havoc on Fire. And this is where I think having so many things happening in the one book detracted from its overall WOW factor. There was not enough action for the length of this book and spicing things up with more dragon activity, more adventures into volcanoes, a discovery of an underwater kingdom where a king called Triton rules the-…okay. I like The Littlemaid, alright? But d’you see my point? Too much umming and errring and drama productions and not enough smashing of buildings with fire and brimstone. Well. Relationships were interesting in this book. Of course, there is a love interest for both of our ladies and they’re quite . . . nice. But (because you knew there was going to be a but) the weight of the relationship between Holly and her man stole the story and flipped the Fire world almost out of the picture for a good long while. A lot of things in this book could’ve done with a handy shove push to get things rolling nicely. This relationship really reminded me of a slightly less flustery version of the one in Of Poseidon. And it just took forever. He saves her when she initially falls overboard and she’s not supposed to remember him but she does and he’s all like, what do you mean? And then 998768 pages later we can start calling it a relationship. Eurgh. There was a lot of potential for this one and I think things definitely did get better towards the end but there was too much not happening for too long. Leah and Mr. Is This Going to be a Thing? I’m not going to say too much about this one because I’ll start spoiling things for you, but I thought this was great but that there was not enough of it. I was shocked by some of the events that happened involving these two but I would’ve loved to seen their relationship really develop into something that lasted. Luiken, you ruin my soul!! I loved how they met, I loved that Leah hid her identity, and I loved that they made a great couple. If we’d’ve had less of the other two and more of these two I think it could’ve been reasonably (definitely) spectacular. I considered this long and hard. Aside from being a reasonably positive reviewer most of the time, I think that this genuinely deserves that extra half a star. It was tempting to give it a flat three but at the end of the day I found myself really enjoying the story, I came to really care for the characters, and I loved how unique all the ideas were in this book. I won’t hesitate to pick up another of Luiken’s books in the future. Anyway. Enough rambling. I did really enjoy this book but I would say that it’s a bit of a rocky start to the series. There were quite a few things that I flagged up but I always wanted to keep reading and find out what would happen to the characters. I would recommend giving this a go if you enjoy fantasy and are looking for something new. I’m definitely going to read book two because I have high hopes that things are just going to get better – I feel like the book and story really started coming into itself towards the end of this book. And let’s not bring up how much I love the cover, *drools*. Let’s hope I enjoy book two! 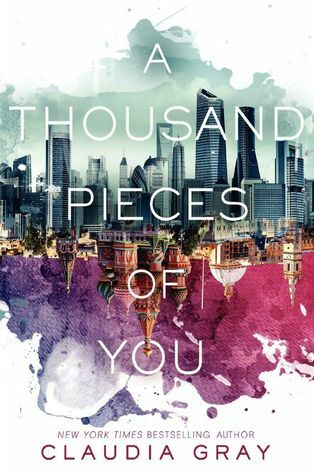 If you like parallel worlds or universes, A Thousand Pieces of You is for you. 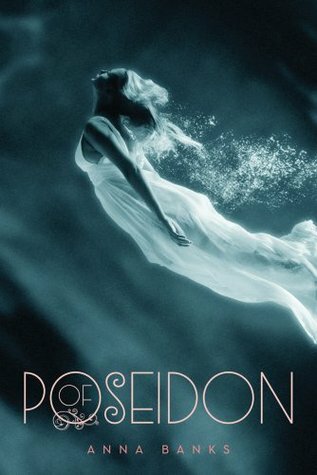 If you like like sirens and mermaids, Of Poseidon is for you. 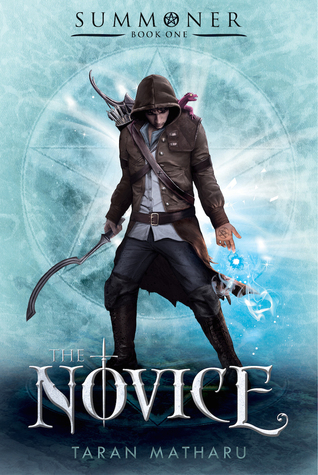 If you like magicians who can summon things from other worlds, The Novice is for you. 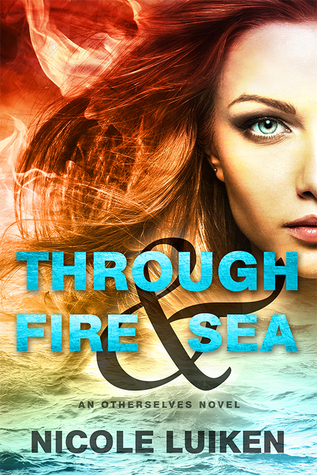 Have you read Through Fire & Sea? What did you think? Let me know your thoughts below!